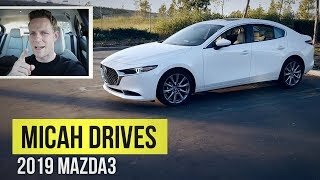 2019 Mazda 3 Sedan: FULL REVIEW + DRIVE | Blurring the Line Between Mainstream & Luxury! 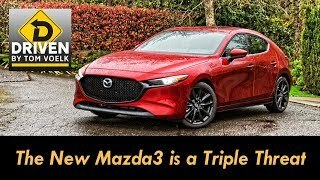 Is the new 2019 Mazda 3 the best compact car?? 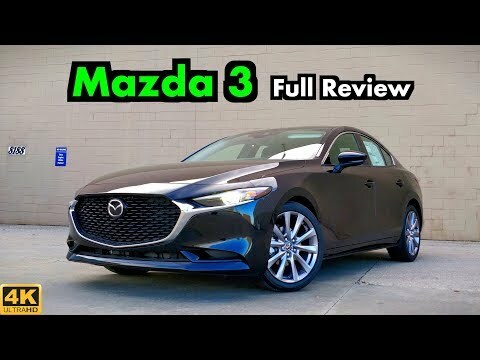 Let's find out in this IN-DEPTH REVIEW and TEST DRIVE of the 2019 Mazda 3 Sedan AWD Premium! The Premium (shown), Preferred, Select and Base trims will be ALL be covered in this review as well! 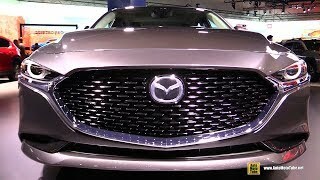 During the video, we will show you the performance data of the engine, discuss the new AWD system, the Mazda 3's acceleration, 0-60 MPH, ride quality, steering and handling, driving dynamics, cargo capacities, distinct styling cues, interior technology and functionality, ALL-NEW Mazda Connect system, exterior styling and much more! So, come join us as we sample this automotive delicacy in a very detailed review that will leave no questions unanswered! "Stand" by Anno Domini Beats is free for use on YouTube for any purpose. 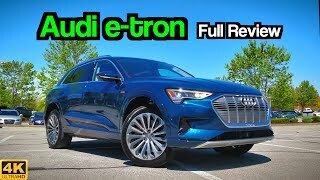 You guys do a great job and have added some information that I haven't found in other reviews. This certainly does seem like a premium vehicle for the money! 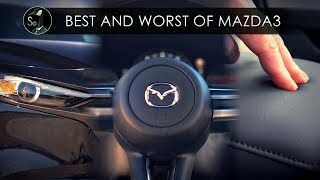 Interior wise, mazda is a copycat of audi ... at least in my opinion. Great Review Guys. I agree with you that this is the nicest cabin in this class. However, Mazda needs to add rear console mount a/c vents along with a locking glove box. 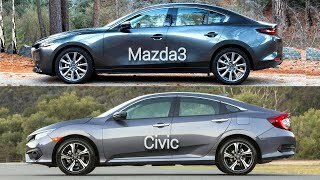 This is by far the best Mazda 3 review for all. Keep it up mates. The diesel engine is good or not? The two camera angles during drive portion are nice, btw. Good view of interior. Haha maybe if you get kidnapped 😂 Thanks for watching! 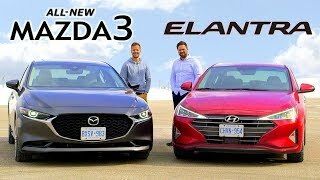 what colour is the mazda 3 you are showing? We haven't made the video for this updated version yet but we have made a tech video for the similar older version if you want to check that out in the meantime. Sorry! You think I’ll find a woman when I buy this car? 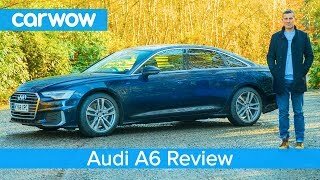 I don't agree with they making the front disc rotors smaller from 11.4 to 11.0" (that was reserved for only the 2.0 liter vehicles), and no fog lights, getting rid of its heated steering wheel.. Thanks!! 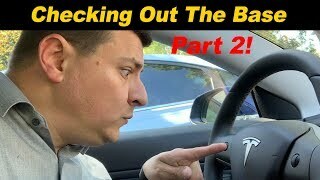 Been waiting for your review on this car. Great job and very detailed! 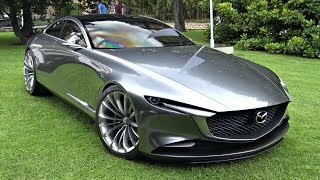 Mazda did such an amazing job with this car. I drove the GT sedan today and it was amazing. It's not super fast or anything, but in sport mode it feels "snappy" and it doesn't complain when you push it. 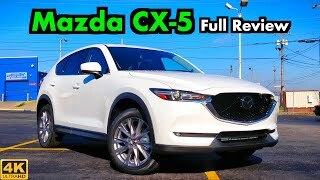 I'm just waiting until Mazda releases the Skyactive X engine. 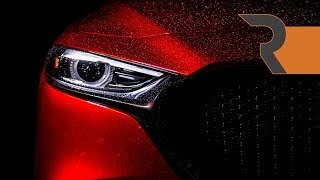 The 2020 Mazda 3 is going to be amazing. The Interior and the Front Grill has been messed up in my opinion, I like the 2017 version better. I guess you bought the 2017 ? Sorry to hear it. That's it, im selling my car and motorbike to get this. I'm drooling over this now! Funny enough im from Japan and the new model is still not available! 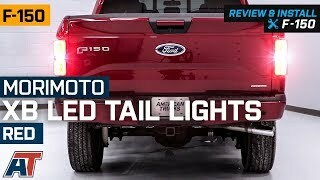 Do all trims have those halo looking day time running lights ? Only the top trim has the halo drl's , al the others have standard drl's. 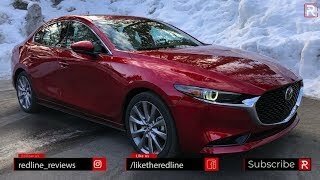 Mazda give us a sport trim for the sedan. I don't want a hatchback. Great job guys as always. Nice car, but the front seat backs look super upright, I imagine it'd be a bit difficult to find a comfortable seating position. Also not really a fan of that high center console. I'm sure it has a lot to do with the transmission tunnel. The guy on the right said the ride is luxury car smooth. 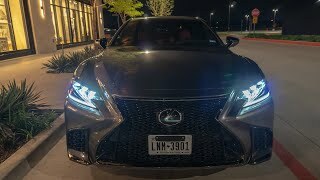 How smooth versus a Lexus GS/ES? 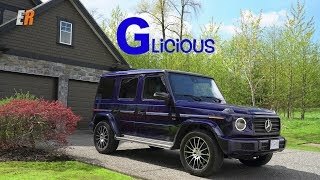 Which luxury has he driven when saying so? And how quiet versus a Lexus or Mercedes? Which models? you actually do a very good review. good camera work too. Thanks, Joe! We appreciate it! 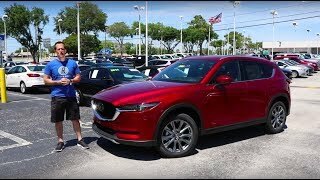 Is the 2019 Mazda CX-5 the BEST performing & looking SUV?